Daphne in Three Movements is an online audio-visual installation exploring the mythical Greek character of Daphne. To escape the pursuit of the sun-god Apollo, the nymph Daphne chooses to be transformed into a laurel tree. 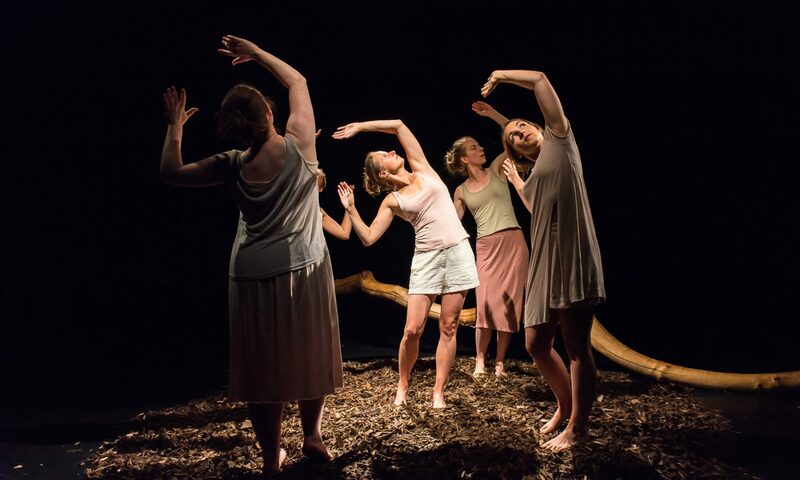 Addressing this theme of physical transformation and resulting changes in body awareness, we respond to Daphne’s story using physical theatre, sound and video across three ten minute artworks. Offering an immersive contemplation of the relationship between sound and image, this installation has been developed to be viewed full screen using headphones.